Serve sophisticated, satisfying food--regardless of kitchen's size or scope--with recipes and advice from award-winning chefs Joseph Ogrodnek and Walker Stern of Brooklyn's Battersby and Dover fame. Ogrodnek and Stern cook stellar meals in their restaurant Battersby's small (4 x 6') open kitchen where they break boundaries with taste combinations and levels of flavor. To pull off world-class food in such tight quarters, they have developed systems of organization founded on a roster of dishes that are largely prepared in advance (sometimes days in advance) and finished just before serving. And that is how they have organized their first cookbook: each recipe is divided into "to prep" and "to serve" instructions. 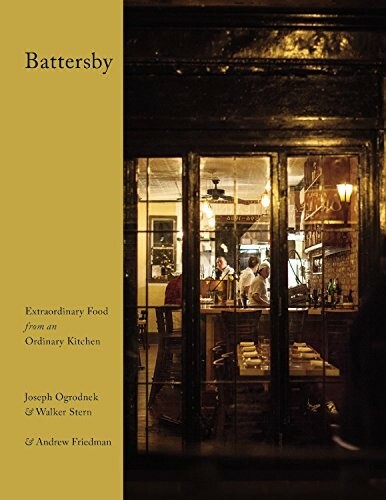 With over 140 recipes--from Crispy Kale Salad with Brussels Sprouts and Kohlrabi to Duck Breast with Quince and Radishes, from Corn Soup with Shrimp to Apricots with Honey and Sweet Ricotta--Battersby will make your meals memorable!